Gulfstream Aerospace Corp. announced the company’s flagship Gulfstream G650ER recently claimed two more city-pair records. The achievements highlight the aircraft’s superior performance and the company’s commitment to providing customers with high-speed travel options. 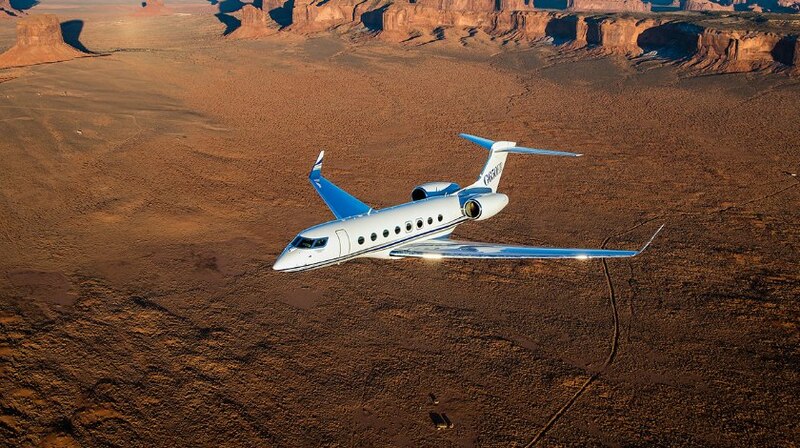 The G650ER took off from Ohio’s John Glenn Columbus International Airport and landed at Shanghai’s Pudong International Airport 14 hours and 35 minutes later, covering 6,750 nautical miles/12,501 kilometers at an average cruise speed of Mach 0.85. “The G650ER is the only business jet that could make the demanding trip from Columbus to Shanghai nonstop,” said Scott Neal, senior vice president, Worldwide Sales, Gulfstream. The aircraft feature the largest purpose-built business-jet cabin, with a number of amenities to make life on board comfortable and more productive, including wider seats, the largest windows, the quietest cabin sound levels, the lowest cabin altitude and 100 percent fresh air.